World with mix of many different nations. Imagine Star Wars fighting with Sauron, Steampunk conspiring againt XV century Europe, Aliens fighting Djiniis, Orc fighting Morloks, Uruks fighting agains Alien Pirates! Swords, Axes, Lightsabers, Flintlock, Laser Cannons, Plasma Blasters, Arqebusiers, Blunderbuses, Antique Shields and Energy Fields, Crossbows, Magic Staves and Bows, Arrows, whatever you can imagine - now in one, huge mod with exceptional mechanics. What is it? This is Paradigm Worlds mod for Mount and Blade: Warband. PARADIGM WORLDS are evolving. Probably the most insane MB mod ever becomes a ultra detailed warfare and battlefield simulation. It is even more crazy, but also more true than ever. Dozens of new parameters, variables based on everything from weather to terrain type is being calculated to simulate most accurate troop behaviour in all kind of conditions. Welcome to PARADIGM WORLDS. You have awaited long enough. This time, I can truly be proud of my offering to gods of chaos (that means You guys and girls). This new, better version, called FULL MOD 1.10 emphasises attention to logic of created world. Life, plots, events are more vivid than ever, results have impact on the whole story. They also affect themselves, so you will need to use your all skills and imagination to be on the top of feed-chain and solve mysteries of Paradigm Worlds. All aspects of a game have now its logic. It is a psychedelic strategy, tactical, fps shooter, action rpg, experience that puts you, not only in a role of a player, but narrator as well. At first, Paradigm's aim was to combine most famous 'worlds' into one and use game engine to see what happens. That goal has been achieved long time ago: you could experience battle fought by Tolkien's elves and uruks against space pirates armed in laser sabres seen in Star Wars. You could experience clash of civilisations when Renaissance's humanity fought battles against totalitarian regime of People's Republic of Morlok... and so on. Now... be ready to take another step in this crazy journey. Let me remind you, what PARADIGM WORLDS means in numbers. 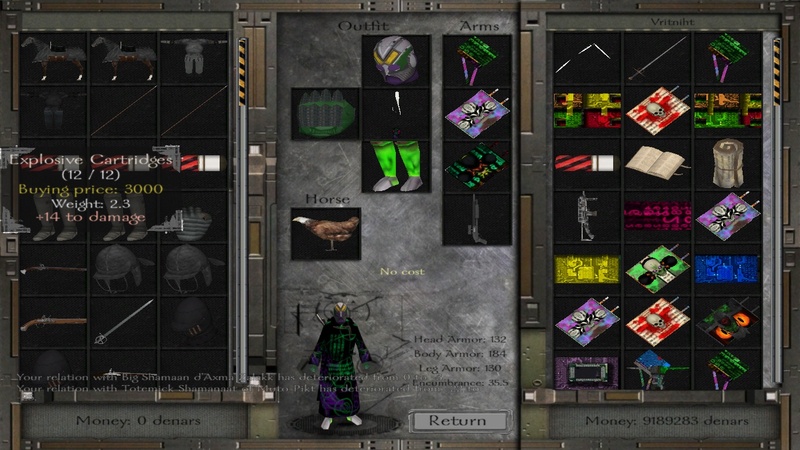 * 12 races (unique experience guaranteed) (from classic elves to victims of biohazard experiments - mutants). It consists two 'modules' - WEATHER and WARFARE. They work in independent way, but sometimes use each calculations to simulate event. Eg. 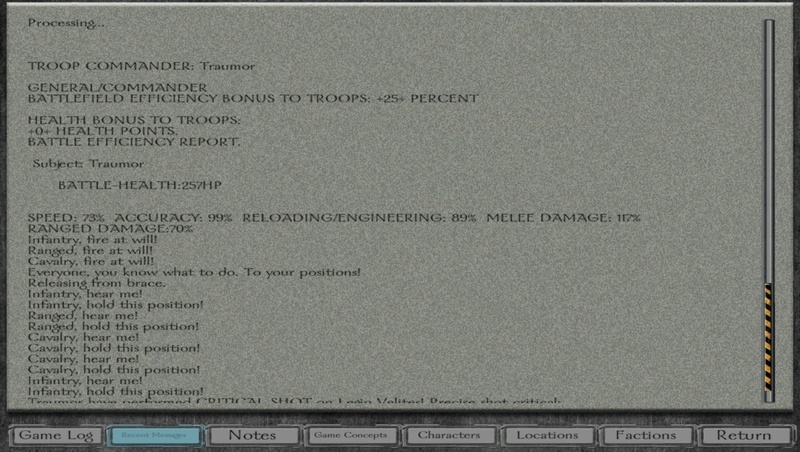 WARFARE simulator is affected by atmospheric conditions. based on temperature, terrain, area and even season of the year! *weather conditions change every hour, temperature raises at day and decreases in night time. Plains, desert, forest, river, snow... all kind of terrain has its own biome, default temperature, visibility range, chance for snow, or rain. It has different haze or fog colours, due to various unknown microbiological elements in the air. During your adventures you will be challenged with all kinds of weather affecting you and your troops. *each battle is different. At the start of a battle, detailed weather conditions are simulated based on info from a world map. *general conditions also will change in time. With days gone, week after a week weather will slowly change. There are four seasons, that equally last: winter, spring, summer, autumn. You start your journey at the begging of spring. Chip inside your head will inform you about weather conditions. How long its gonna take us to get our mobiles to the same level? each SINGLE unit on the Battlefield is being simulated by WEATHER MODULE based on weather effects, type of terrain, weight of equipment. Your new, special character LEADER skills can greatly improve your troop's chances on the battlefield. I can't name my test-characters like 'test2'... Here is my last friend, Traumor. Look closely and you're gonna see that most of skills has modified names. Don't worry. There is detailed description what they do in the up right corner. Most of the skills have more functions than one, they do something else on world map, and work in a different way on the battlefield. For example, everyone can use machine guns. But recoil, efficiency, aim - they are now modified by GRENADIER skill. So good soldier needs this skill to be efficient with machine guns. Still, as a former POWER THROW it also affects thrown weapons, like grenades. What a logic! I am really proud of that one. This a very detailed simulation so let me skip to most important things. I will come back to WARFARE module in another article. But it's not the end of a story. Now these variables are simulated by WEATHER module information about terrain, haze, visibility etc. Even temperature has impact, too hot or too cold and all units gonna be slow, and less efficient. Game Log, Recent messages - you can check them every moment of battle. They will inform you about your batllefield state - your personal variables that describe you this event. Check for example HEALTH, it is 257 points rated. You can see how your leadership skills and tactical prowess affects your troops too. THAT IS ONLY PART of the story how WARFARE module affects battles. Really. Now if you like tweaking, experiencing different scenarios, experimenting with different settings... What would you say, if I gave you control over most important WARFARE module parameters? Here you go. 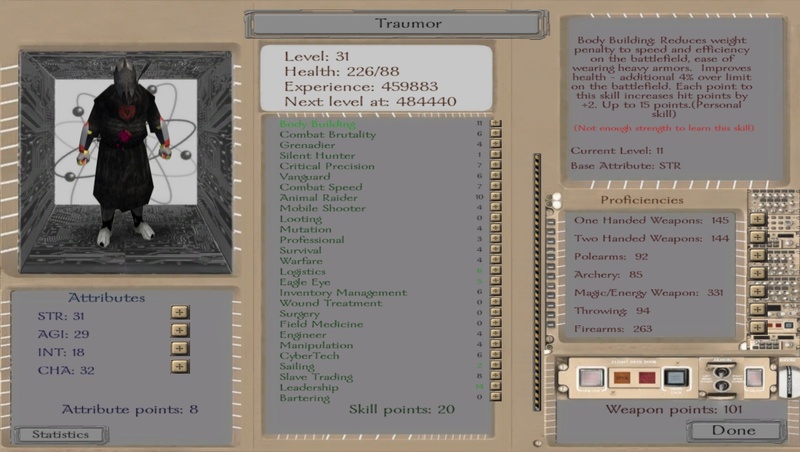 In the PARADIGM MENU you can adjust base constants for move speed, accuracy, range damage and few other things. They can change gameplay totally - lowering accuracy will make shooters useless and close combat specialists your best friends. Melee damage control? Like it? Thanks to that simple menu you can make your battle whatever you want to be. AND STILL IT WILL BE SIMULATED according to the mentioned rules. It still be true and fair. From arcade slasher to a tactical slow paced position war. In a few seconds. Yeah, this is PARADIGMS WORLDS. Each 'weather variable' affects troop efficiency in multiple ways, each unit has unique weapon and armour, combine that with 2200 troops, over 5000 pieces of equipment, like weapons, armours, blades and ranged weapons, countless variations of weather effects. Oh, do not forget that each unit is described by over 30 attributes, like skills, abilities... and few thing I haven't mentioned yet. 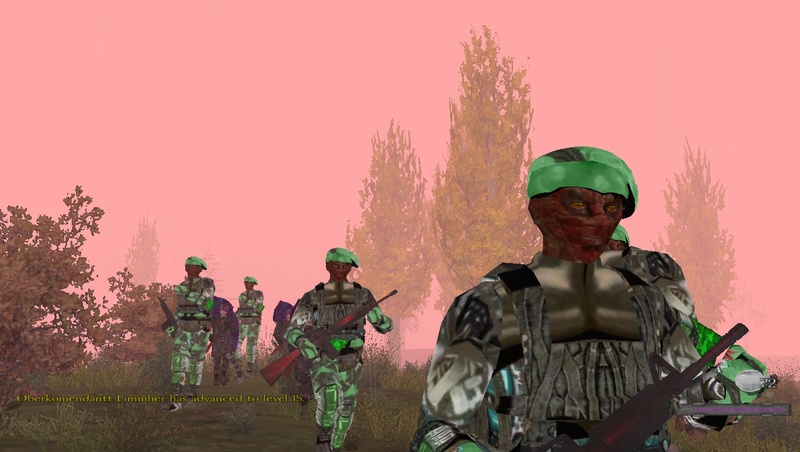 When was the last time you saw that level of realism of a battle-simulation in a mod or even a game? Now, the best part is that you do not have to do a thing, to experience all of that. You don't have to tweak anything, you don't have install or start up additional scripts. You even do not have to see all those numbers, all these calculations. They've been implemented to keep maximum immersion, so during battles you can have just fun and satisfaction. If you doubt if these simulations do their job, you can always go to PARADIGM menu, see BATTLEFIELD info sub-menu, and turn FULL INFO. CRITICAL BRUTALITY is a Sub-Module of WARFARE module. To make battle more brutal, but also more true, troops will cause criticals, like in a good rpgs. Chance is calculated by few variables like: certain skills (critical precision, professional), pure random luck and... microchips. 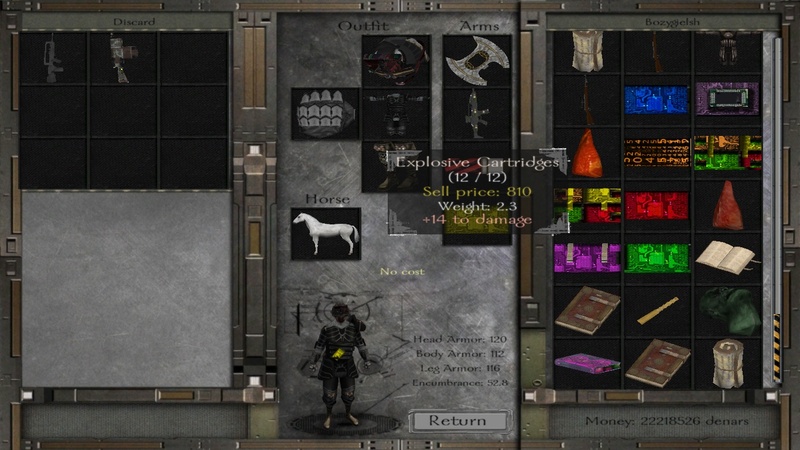 See these strange looking books on the right side of inventory? These are microchips from alpha-stage of idea. MICROCHIPS are a subject for another story. What they do in details. There are fakes, cheaper, but less efficient. They improve base battlefield variables (speed, reloading, rangte damage etc.). Some say they are too good to be true. That there is something behind that whole idea that is very, very fishy. Player character has equipped microchip. You can also see a small yellow piece on his body, that's how it looks on the battlefield currently. To make microchips an efficient support to a troop, new CYBERTECH skill should be developed. It enhances power of cyber technology. There are also new troops, that can make a great use of cyber skills and equipment. In each town there is a a new merchant, bying and selling advanced electronics. You can buy microchips there, however they are very expensive. Or you can buy cheap fakes. Or you can just attack more advanced factions in hope for their loot. World of Paradigms is constantly evolving. Literally. EACH TROOP IN THE GAME gathers mutagen in his organism to evolve to a new species. So it is vary possible that you will have a chance to play few different races, do you like it or not. Every time you undergo mutation there is a huge chance you will become someone, or something else. Critical amount of mutagen in blood causes transformation. During transformation troop characteristic is being changed in positive or negative way depending on luck and new skill - mutation. Mutation can harm or enhance abilities. To make things more interesting, NPC mutate in a slightly different way. Result of their transformation is more humble in manner of number, but it is always positive. So, slowly, but inevitably they will become stronger. Transformation has its cycles. With each cycles there is a bigger chance that player, or a troop will tranform into a skeleton. SKELETON do not undergo mutation. This is a final form for every living organism. In time, I hope, will be able to develop that fact into a story, or a quest, or just use it to make another layer of management in PARADIGM WORLDS. For now, there no reason to be concerned - mutagen is filling each body at slow rate, and for each cycle more mutagen is needed. When I adapt subject of races to WARFARE module, so each race would have slightly different batllefield variables, can change a bit situation too. Zona Field Enginners are troops of Zoners faction. Born as simple morloks, they have transformed into a an alien race. IMPOSSIBLE? You haven't played PARADIGM WORLDS. That are most important news to PARADIGM WORLDS. Have fun, soon, really soon. WTF was this my entire life. My jaw dropped. Are you a genius? looks great but why is the video off ?